Buying a new home may be the biggest investment you'll ever make. Although the process is very exciting it can quickly become overwhelming. Let MJL Home Inspections help you in this process. Chances are most of your inspection will be related to maintenance recommendations and minor defects. If a major defect is found it will allow you to address the issue with the seller or builder before you close. By having an inspection performed before you list your home it will alert you to any defects or problems with your home. This will allow you to address them before prospective buyers discover them. It also allows you time to obtain reasonable repair estimates and avoid negotiation issues and delays. Justify your full asking price by having your home inspected now. Most builders provide a one-year warranty for new construction. After that, the home owner assumes responsibility for repairs. Generally during the first year, the buyer develops a “punch list” of corrections for the contractor to repair under the warranty coverage. Some defects will not be obvious to the untrained eye and it is important to get an inspection performed by a trained professional who can search out such items. It is good to have this inspection done between the 8th and 11th month. Serving Allen, Carrolton, Dallas, Fate, Forney, Frisco, Garland, Heath, McKinney, Mesquite, Murphy, Plano, Richardson, Rockwall, Rowlett, Royse City, Sachse, Sunnyvale, The Colony, Wylie and surrounding areas of the DFW Metroplex. 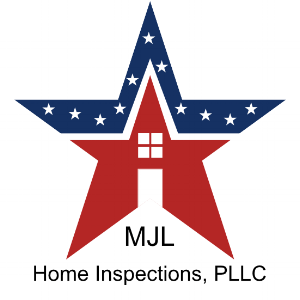 If you need a home inspector in the Dallas metro area please give MJL Home Inspections a call at (972) 850-8848.